CSE2 will use a $10 million donation from Amazon to build a 250-person lecture hall called the Amazon Auditorium and Gallery. The University of Washington (UW) received a $10 million donation from Amazon to build a new computer science building on its Seattle campus. The CSE2 project, led by UW Computer Science & Engineering (CSE), will provide additional space for the university to double the capacity for its program — to 600 computer science degrees each year. 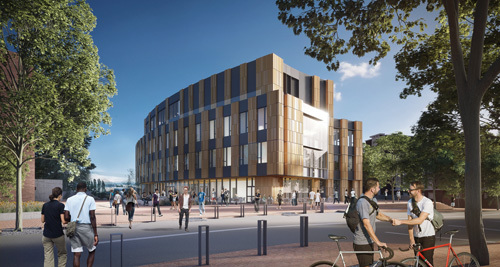 The CSE2 will be a 130,000-square-foot building containing “instructional, research and collaborative spaces,” according to UW. Meeting rooms for seminars and interview rooms for industry representatives to meet with students. 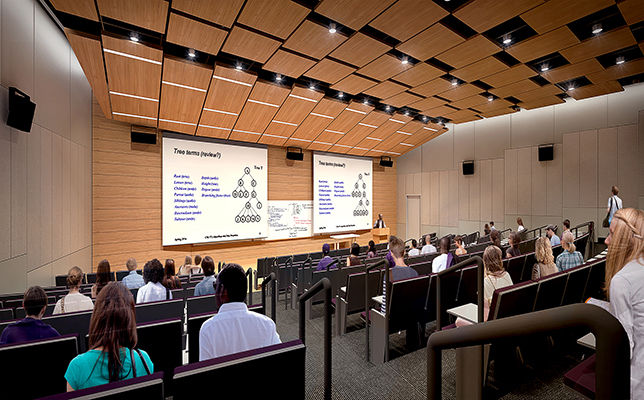 CSE2 will complement the Paul G. Allen Center for Computer Science & Engineering, which was built in 2003. The Allen Center is now “bursting at the seams,” according to UW, with undergraduate enrollment doubling, graduate enrollment up 50 percent, research staff doubling and faculty size increasing by 50 percent, all in the last 13 years. With Amazon’s donation, the university has raised a total of $86 million of its $110 million overall construction cost. Construction will commence in 2017 and the building will open in 2019. To learn more about CSE2, visit the UW site.